Hello and welcome to Zen Android, a blog about programming in general and Android in particular. If you are a seasoned veteran or just beginning your journey into the programming world, you will discover something interesting in these articles. In here you will find discussions about coding, new Android technologies and libraries, tools, perhaps even a tip or two about career growth. The idea of writing this blog came when my employer needed somebody to investigate some of the new trends in Android (such as Android Things), so I ended up writing a series of articles on our internal Bitbucket repos. With their approval, I've decided to make those articles public, because, as the old saying goes, sharing is caring. My name is Alex and I'm a software engineer in London. I have about 12 years of professional experience in practicing various forms of programming, but lately I'm focusing more on Android. In the past I've worked for digital agencies, gaming companies (e.g. Electronic Arts), network specialists (e.g. IXIA) and now I am doing consultancy projects with Deloitte UK. Feel free to check-out my LinkedIn profile if you're interested in my career path so far. I have first laid hands on a computer back around 1991 on one of these bad boys. I was living in post communist Romania at the time and computers were rare, but I was lucky enough to get access to one (and a couple of manuals about MS-DOS and GW-BASIC) due to my father. Unfortunately, nobody knew how to operate computers at the time, so I had to teach myself by studying those (rather dry) manuals. Soon enough though, I managed to understand how it worked and write my first programs in BASIC. 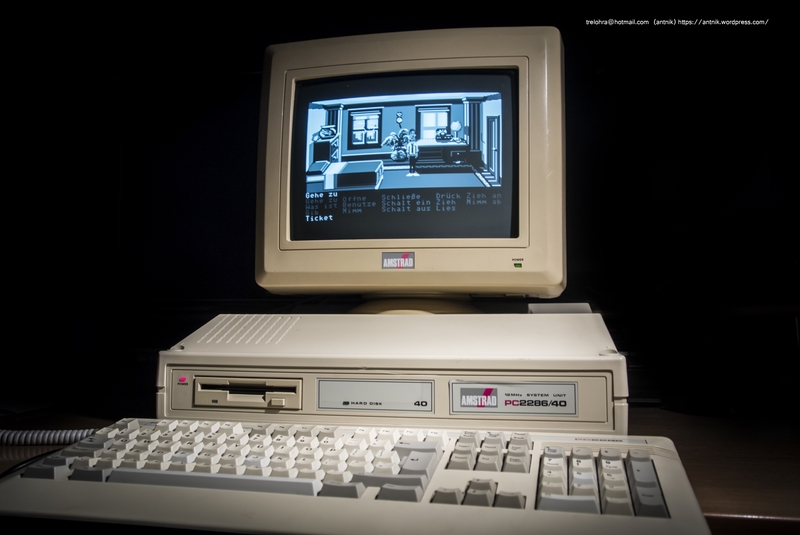 By the time I started highschool, I knew already that programming is what I wanted to do for a living, so, when my parents bought me my first computer (a 486), I proceeded to teach myself Pascal (which was popular at the time for whatever reason) and a smattering of ASM. I also developed quite an appetite for Data Structures and Algorithms at this time and participated in several national contest during this time. For Uni I went to the top engineering school in the country, and, as things were started to change, did get a bit of formal training (that I was sorely lacking) and rounded up my language knowledge with C, C++, Java as well as general engineering knowledge regarding networking and electronics. Internet became a thing during those years, so a whole world of information was becoming available. I have moved to London at the beginning of 2016 in search of new experiences and challenges. I'm currently working as a Senior Consultant with Deloitte. I'm also learning to play electric guitar (I love classic rock) and recently developed an interest in buddhism and eastern philosophy in general (as you probably gathered by the blog's title). I'd like to invite you to subscribe to my email list community. It's of course free and it will notify you when there are new articles available. Click this link to subscribe. © 2019 About Me. All Rights Reserved. | Built with Ghost and Caffeine Theme.